I saw myself standing before the crucified Christ. I dipped my finger in the blood on His forehead and smeared it across my own. I dipped my finger in the blood on His hands and rubbed it on my hands and arms. I took some blood from his side, and rubbed it over my heart. Tears were running down my cheeks as I thanked him for all that He suffered on my behalf. 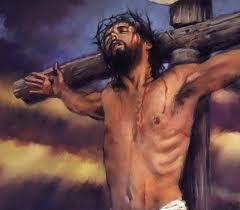 I thanked him that the blood running from his wounds takes away my sins and heals all my diseases. As I thanked Him for the blood that heals, I took more blood and rubbed it on my lower back where I had pain.